Our design was created with you in mind. 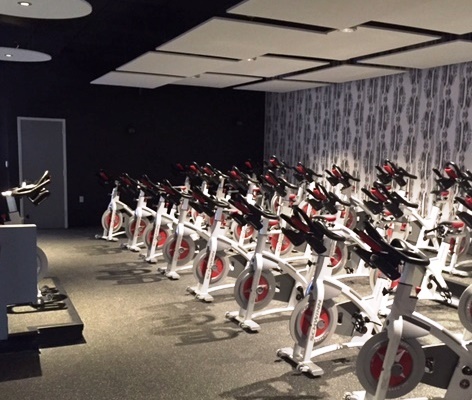 Recently voted as Best Spin Studio in Bergen County by 201 Magazine, our spacious studio is nearly 3,500 square feet with a state of the art, three tiered cycling room featurning Carbon Blue bikes with Upgraded Performance Console to measure your Watts, Calories and RPMs plus a sound system that will bring you a one of a kind experience and energy as you Ride the Rock! 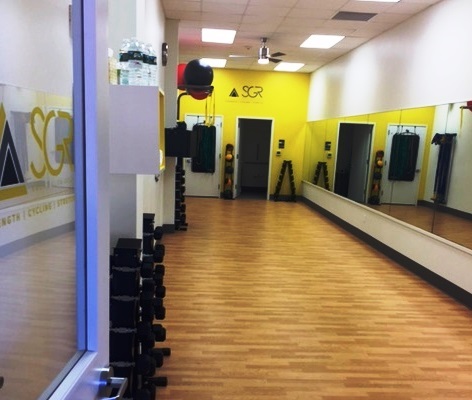 Also, come see our newly added Group Fitness room offering small group classes for Strength, Core, HIIT and Stretch classes. Small Group training at it's best. No class is bigger than 10 people so you get the personal attention to monitor form and maximize results. Our studio has plenty of free parking and is located at 208 Rock Road, a couple doors down from the Glen Rock Inn and Starbucks. Use the lot behind our location and walk through our rear entrance or use the Municipal lot across the street. For early classes, there will be plenty of parking in the street on Rock Road. We also have child care available on site for select classes. We are available and want to answer any questions you may have so reach out on email, call or like us on Facebook and follow us on Twitter or Instagram.